Every time you hear the word Coachella, you imagine the warm and cozy California nights, the crazy weekend parties, and listening to some of the best bands and artists that the world has to offer. Nonetheless, Coachella isn’t just a thrilling music festival; it’s also an art festival where you’ll get to see iconic images of giant butterflies and caterpillars. The energy, creativity, and fun at Coachella are always mind-blowing; you can’t afford to miss this event. It’s held in April of every year. Carnivals are usually celebrated in many countries around the world, but none can match the uniqueness and merry of the Mardi Gras, held in February of every year. You’ll have the chance to dress up in fabulous costumes, celebrate the famous Fat Tuesday by throwing colorful beads, and get to witness an incredible parade through the prominent French Quarter of New Orleans. This is one carnival that shouldn’t miss on your bucket list. This parade has been putting smiles on people’s faces for 90 years now. Whether old or young, you will definitely enjoy the extravagant floats, the humongous balloons, as well as the intricate performances on your trip to the East Coast. Thanksgiving cannot happen without a Macy’s Thanksgiving Parade! With over 40 years since it was started, the Sundance Film Festival is now the largest independent film festival in the world. Thousands of producers, directors, actors, screenwriters, celebrities and fans make trips to Utah each January to watch the premiere of astounding films and exchange insights on issues affecting the film industry. This is the ultimate convergence of great music, emerging technologies, and independent films. This event headlines renowned artists and personalities and also acts as a great platform for launching creative ideas and content. If you are a tech enthusiast and a music fan, then this event is a must-go for each and every March. Thousands of people gather at the Black Rock City, Nevada each August to celebrate art, music, self-expression and the value of a community. 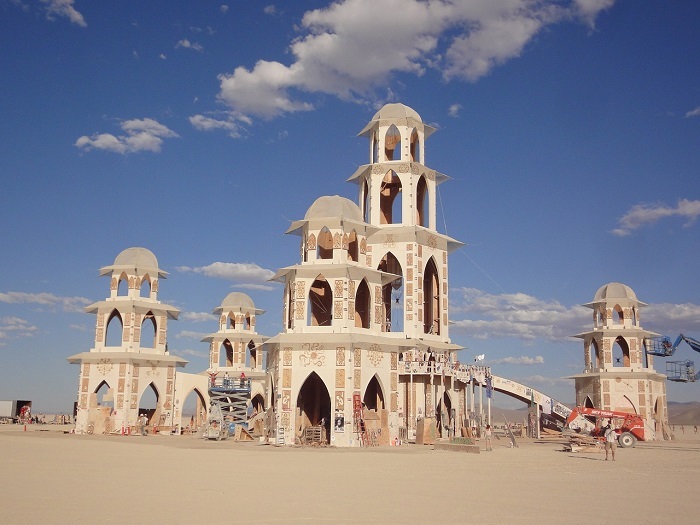 It’s safe to say that the Burning Man is not an event for everybody; people stay up all night with little clothes on, mingle with strangers, and burn down a giant statue at the end of the week-long event. If you want to get away from the hustle and bustle of the day-to-day life, then this is the perfect festival for you. And for all the fashion lovers, here is something for you! The NYFW is held every September and February of each year and offers stylish fun for all in attendance. It is the only event in the country where you’ll get the opportunity to meet some of the world’s renowned fashion designers and gurus and get to see and buy their incredible collections. Pack your Louis Vuitton suitcase and hop on a business class flight to the USA to arrive there like a true fashionista. When you hear Las Vegas, know that it’s going to be downright fun. Vegas is proudly home to one of the biggest electronic dance music festivals in the world. Over 300,000 revelers head to Las Vegas every June for the great art, circus-style performances, and more importantly for the top electronic dance DJs that the world has to offer. What are you waiting for? Book your business class flights today! In October, the skies in Albuquerque are usually filled with colorfully painted balloons that lift off from the Balloon Fiesta Park. This festival is known to be the world’s largest balloon festival and would be a great place to be if you are an adventurous person. The experience is just breathtaking. You need to reserve your October for this festival. Over 100 famed music bands, art markets, 8 state-of-the-art stages, delicious festival foods, convenient camping grounds; the Austin City Limits has it all. If you are looking for an ultimate music fest experience, then this is the place to be. For all the foodies, here is a great event for you. This festival serves up to 20,000 pounds of mouthwatering lobsters and also features an international crate race, a parade, a number of cooking contests, and finally the crowning of the “sea goddess.” Don’t miss out! Since a huge number of people from different states usually attend these events, it may prove challenging and expensive to get there. But you can always utilize the affordability of business class flights.